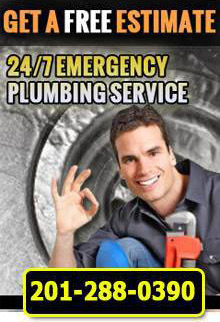 Are you looking for plumbers in Hudson County, NJ that you can count on? At 1st Choice Plumbing, Heating and Drain Service, our plumbers in Hudson County, NJ provide a full range of residential and commercial plumbing services in North NJ. As homeowners and business owners, our plumbing professionals understand the hassle of both major and minor plumbing problems. No matter the size or complexity of the job, our plumbers in Hudson County, NJ can fix it all. At 1st Choice Plumbing, Heating and Drain Service, we perform repairs, installations and maintenance for products of any manufacturer. If you are interested in plumbers in Hudson County, NJ that you can depend on, Let 1st Choice Plumbing, Heating and Drain Service help you! For more information on our plumbing services or for a free plumbing estimate in Hudson County, NJ, call 1st Choice Plumbing, Heating and Drain Service at (201)288-0390. We look forward to helping you.